The holidays are fast approaching, which means family gatherings, vacations, and of course, the need to plan for logistics and sort out arrangements. For divorced or separated parents, this can be an especially stressful time. We thought this would be a good opportunity to go over a few set of tips to consider when navigating the upcoming holidays, especially if you’re dealing with an ex-spouse or complicated child custody arrangements. At R & S Law Group, LLP, we understand that everyone’s situation is different. This blog post can only offer general tips, and if you’re looking for more specific counsel, your first step should always be to reach out to a reputable family law attorney. With that covered, here’s what divorced or separated need to keep in mind as you prepare for the rapidly-approaching holidays. Regardless of whether your arrangement calls for alternating custody between different holidays, separate celebrations on different dates, or any other type of custody setup, you and your ex should always refer to and abide by the parenting plan that was set in place by the court. This should always be your starting place when planning for the holidays. Be sure you understand your rights, as well as your ex’s, before making any requests or suggestions. In cases where you feel like your parenting plan needs to be updated, you should consult with an attorney to explore your options. Past that, be sure you’ve got a good grasp on the established parenting plan as you make holiday arrangements for this year. While your established parenting plan sets baselines and expectations/obligations from either end, always consider your child’s happiness first and be sure to exercise flexibility when needed. 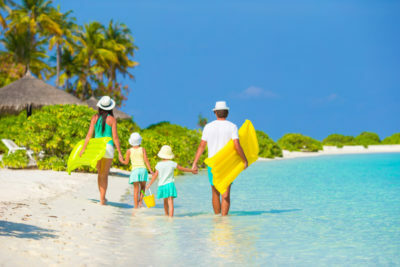 For example, if travel plans with the other parent end up shaving off one day from your scheduled parenting time, losing one day is a small price to pay if your child is excited for the upcoming trip. Not only that, but separated or divorced parents who demonstrate flexibility often have the favor returned by the other parent, further making it easier for the two of you to plan and make future arrangements. This should go without saying, but you should always approach joint celebrations with caution. Are tensions still high, or is the possibility of conflict high? If so, you and your children are better off if everyone keeps the peace via separate celebrations. If you or your ex-spouse are unable to spend any time together without bickering, or if either of you can’t stand to see their ex with another person, you’re only setting yourself and your loved ones up for conflict and pain if insist on sticking with a shared celebration. If you’d like to learn more, remember that you can always speak to one of the reputable divorce and family law attorneys at R & S Law Group, LLP. Call us today to schedule a free initial consultation.